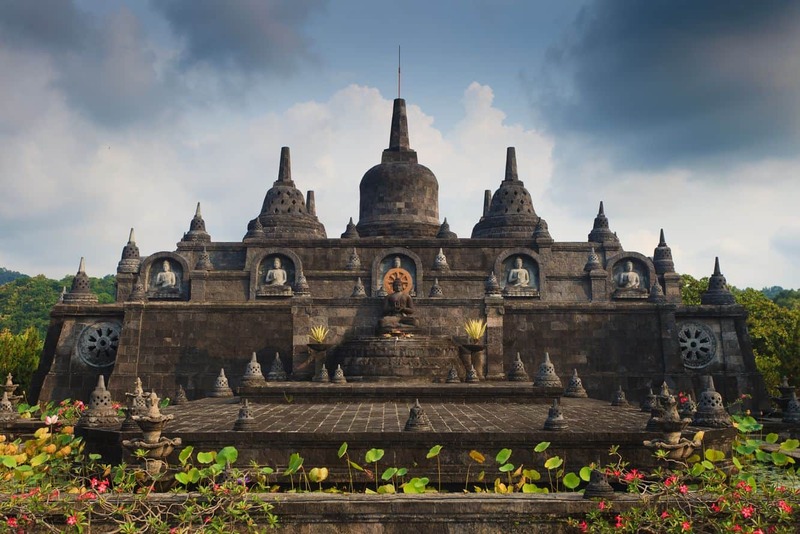 Brahma Vihara Arama Buddhist Monastery is Bali’s biggest monastery and is located on the hillside of Banjar, approximately 2kms from the famous Banjar Hot Springs. The Buddhist monastery first opened its doors to Buddhists in 1970, and has since attracted many visitors on pilgrimage as well as those who are fascinated by this religion. The monastery is sprawled on 2.5 acres of the hillside. There are several rooms where visitors can take a moment in quiet meditation, the libraries on location are stocked with many religious books and the lush gardens outside are an amazing place to relax. 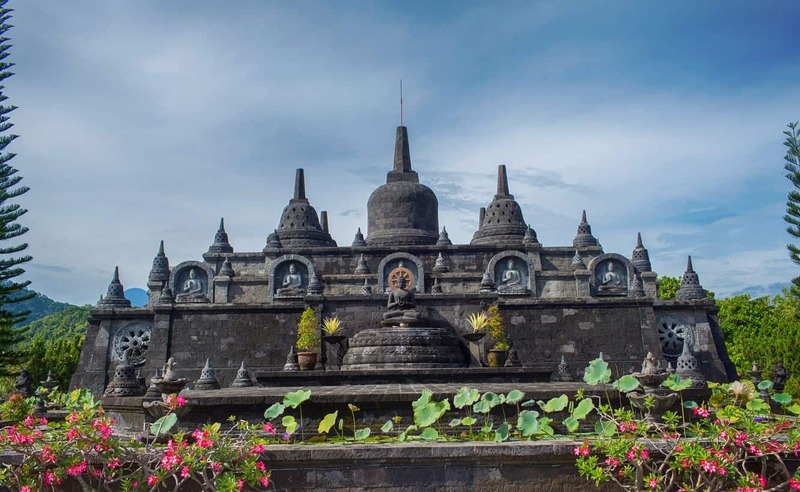 Perhaps the most prominent feature at the Brahma Vihara Arama Buddhist Monastery is the replication of Borobudur at the temple’s most elevated point. Borobudur is the biggest and oldest Buddhist temple dating many years back to the 9th Century. A UNESCO World Heritage Site, the Borobudur temple is a famous attraction in mainland Indonesia. Brahma Vihara Arama is a popular site for Buddhist pilgrims, particularly during Asada and Vesak, both holy days observed in the religion. During this period, the temple comes alive as visitors throng the grounds to catch a glimpse of the monks in their yearly procession. Approximate dates for Vesak, based on the ‘sixth full moon’ each year usually falls in the month of May each year. Look out for the statues, each of which has a significant meaning for Buddhists. 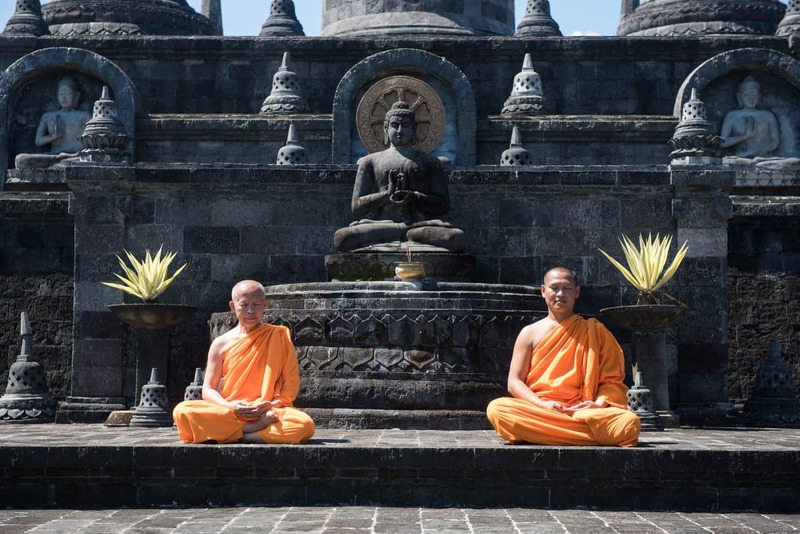 Brahma Vihara Arama Buddhist Monastery is a place of enlightenment, a place you must visit whenever you are in Bali. Those visiting the temple are required to wear the correct attire, as is the case in all Balinese Hindu temples. This includes a sash and a sarong, both provided at the office on arrival. 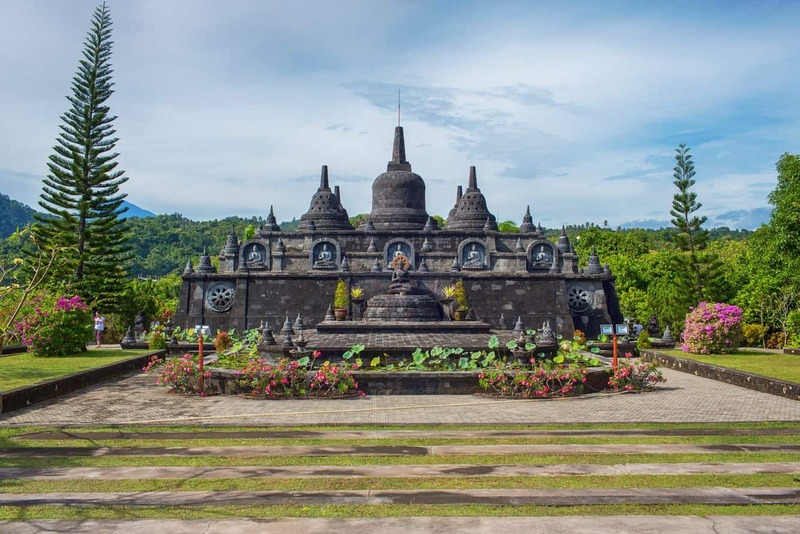 The monastery is an approximate 20km drive from the main town of Singaraja and just 10km from Lovina.